Some people are just annoyingly, frustratingly and enviably normal. We all know someone who seems to breeze through life, always positive and never phased by anything. Those individuals are often fortunate in the sense that they may never have to understand mental illness, and may sail through life oblivious to the brain demons. However blessed these people may be; there is sadly nothing to prevent those close to them from developing or encountering a mental illness. By now, we all know the statistic that 1 in 4 of us will be impacted by a mental illness. 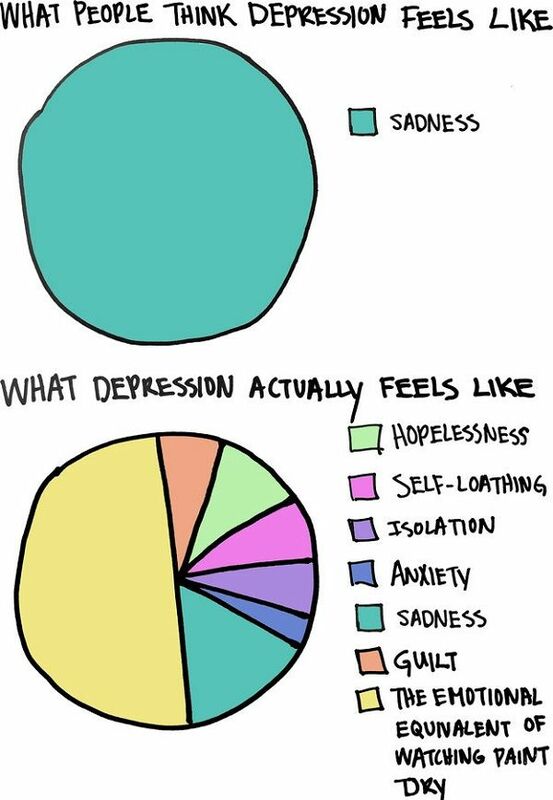 With this in mind, it is important that everyone has an awareness of how to help, support and care for someone with a mental illness – whether it is your friend, partner, parent or colleague – whether it is Anorexia, Alzheimer’s, Anxiety or ADHD – there are a few basic steps or rules that you can adopt to support those close to you. Do – Be available for support or a chat. Conversation and communication is one of the easiest and most effective ways of helping an individual who is suffering from a mental illness. Often it is difficult for the person to reach out and seek interaction with others, so make sure that you’re messaging them often, engaging in conversation when and where possible, and making it known that you’re happy to have a sit-down and a chat. More often than not, you don’t need to give any advice or practical methods of solving their problems. Simply having a functioning pair of ears and an appropriate response is enough to help someone feel better. Don’t – Allow them to become dependant on you. Unfortunately, it is possible for the scales to tip in the opposite direction, and for the individual to become highly dependant on the interaction of one specific person. Of course, this is not the case with all mental illness, however, it is common for a vulnerable person to attach to one close person who they can share the depths of their thoughts with, and constantly refer back to for advice and support. This can become an issue when the dependency causes the individual to be unable to make their own judgments and losing their sense of independence. If you feel as though a loved one is highly dependant on you and your judgment, then you need to take the appropriate steps back. Depending on the severity of the illness, this could mean arranging a professional team to support your loved one, or merely encouraging the individual to make choices themselves and take small steps towards dictating their own lives. Often the sense of reality can be altered in the mind of an individual with a mental illness. This means that they may completely ignore their successes, and frequently come to you with their problems or things that they think they have done wrong. For example, someone with depression or a personality disorder may truly and honestly believe that they are a terrible person. As someone with a subjective perspective, you have the ability to remind them of how well they are doing on their journey. You have the voice to address their achievements and all of the amazing qualities which they may not even realize that they have. Let them know how and why you love them and be the voice of encouragement. Don’t – Disregard their feelings of hopelessness, or belittle their sense of reality. Whilst a positive perspective can really help someone in a dark place, ignoring or disregarding their negative feelings can make them feel as though they aren’t being taken seriously. All of the above are examples of phrases which may be well-meaning and intended to help someone feel better or steer away from their distorted reality, however, all of the above are examples of phrases which can make a mentally ill individual feel marginalized and often feel worse. Whatever you do, do not try to convince someone that they have no reason to feel down, or that their feelings aren’t real. Whilst their rationale or basis of their feelings may not be accurate, their actual feelings and emotions are valid and must be taken as seriously as anyone else. Do – Try to make plans and arrange dates for the future. The case with many mental illnesses is that the individual can be stuck inside their own head and whether this is a depressed or manic state, they may not be able to think beyond the current day or week. Making plans with your loved one ensures that they have got some dates to look forward to, and this can range from sitting in their living room with a cup of tea for a few hours on a Friday afternoon, or a weekend city break. It all depends on the type of illness and the severity of the case. However, having something different from the everyday grind and pattern can really help the individual with motivation, an improved sense of reality if they are leaving their house, and the chance to focus on something other than their own mind. Don’t – Be Offended if they push you away or turn you down. Emotional difficulties and conflicts are prominent in a high amount of mental illnesses. Even though many people still love their friends and family, a common coping mechanism is to push them away and force people out of their lives. This is often the point where friends will leave, people can lose their jobs, families can break up and relationships can fall apart. Please, please persevere where you can. If they cancel plans, make more. If they ignore your phone calls, go and visit them. If they tell you that they don’t want to be your friend or that they don’t need you – then they do need you. Of course, take this information with a pinch of salt, and do not put yourself or the individual in danger. If it is extremely clear that the relationship needs to end, then make the most appropriate decision. However, don’t allow the friendship, romance or companionship to be severed instantly. Mental illnesses can put people at their most vulnerable, and often the actions are irrational and not thought out properly. Do not take offense if your plans are repeatedly canceled, or they are pushing you away. Instead, try to understand why they are behaving like this. Do – Watch out for unusual or dangerous behaviors. There is a whole range of unusual behaviors and self-destructive patterns that an individual may start to engage in. Consider how the individual behaved when they were well, or at their most stable. Then, look out for anything that they are doing which strikes you as out of character. Examples to look out for are: Under/overeating, becoming obsessed with someone or something, making impulsive decisions, spending large amounts of money, refusing to spend any money, sleeping all the time, hardly sleeping at all, using drugs, changing physical appearance often, promiscuity, isolation, not leaving the house etc. etc. Of course, those listed above are indicative of unusual or dangerous behaviors if they are new or something that the individual doesn’t normally do. This could be an indication of a manic episode, depression, self-neglect or a cry for help. If you do notice any unusual or dangerous behaviors, try to gently address this with your loved one, and explain that you’re concerned about the impacts this may be having. Try to ask why they are choosing to behave like this – or if they are even aware that they are doing it at all. It may be at this point that professional help should take over. Don’t – Make every interaction about their illness or make them think that you feel sorry for them. Of course, this may be difficult if you are genuinely concerned for the well being of your loved one. However, try to remember what your relationship was originally based on. Are you best friends who loved to go to football games together? Then try to talk about football as much as you can, talk about the old times and distract them from their illness. Are you a married couple? Then continue to base your interactions on your love for each other and your family. Are you working alongside someone with a mental illness? Then ensure that you’re acknowledging their illness, but also still in a working environment. Again, this step may be difficult, but the general basis is that you need to remain at the core of your relationship with the individual. Try to think about old times, and have a laugh and a joke where you can. Complain about boring everyday things, like the traffic on the way to work, or the fact that your cat woke you up at 5am. Sometimes, the smallest distractions from the individual’s mental health can help them to build up towards a stronger recovery. After all, as they get better, your friendship/relationship/marriage will be based less on their illness, and more upon the great future you’re going to have together. It goes without saying, I’m not a doctor, I’m not a psychiatrist and I am certainly not a therapist. I am a 20 year old girl who dropped out of her first year of Mental Health Nursing. However, I am fortunate/unfortunate enough to have an extensive knowledge on recovery from various mental illnesses, whether that be myself or those around me. I have been the one in recovery, and I have also been the one supporting unwell loved ones. All I can say is, any effort is better than no effort, and as long as you’re doing the best you can, that will still mean the world to someone. I’ll leave some links below for support services.